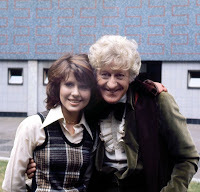 As I’m sure you all know by now, but it is with deep regret that inform you of the passing of Elisabeth Sladen. Elisabeth was, to put it quite simply, a Doctor Who legend. She was a kind, generous, warm-hearted lady who stole the scene every time she walked into frame. I was – as I know many, if not all, of you were – utterly shocked and saddened by the news of her death last night. Again, as with Lis’s good friends Barry Letts (prolific Doctor Who producer 1969-74) and Nicholas Courtney (The Brigadier), it was cancer that did it. Apparently she had been ill for quite some time. My apologies for the long delay of this post, but I had no idea how I could possibly write something that would do this wonderful lady enough justice. I cannot express the tremendous feeling of disbelief and shock that I felt when I heard the news of Elisabeth’s death - I expect many of you experienced something very similar. Though I have known Doctor Who well my whole life, I am somebody who came to the show properly in 2003, after the announcement of the show’s imminent return and during the surge of classic series story repeats. I was first introduced to the character of Sarah Jane Smith in a repeat of the story ‘Pyramids Of Mars’ on UK Gold, which for me could not have been a better introduction to Miss Smith. I distinctly remember being struck during that story by how original Sarah Jane was as a companion to what I had seen before and by this actress’s brilliant performance and portrayal. 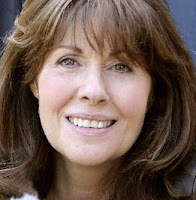 As a discovered a few years later, this was the performance of Elisabeth Sladen who, if I hadn’t taken to her instantly before, had stolen my heart as Sarah Jane once more in ‘School Reunion’ in 2006 – despite all the years off-screen, Elisabeth proved she hadn’t lost any of her talent for acting. So I was delighted when The Sarah Jane Adventures came along and turned out to be real TV gold, giving another generation the chance to fall in love with her and Sarah Jane Smith once more, and she did just that. Her energy and vibrant radiance never faltered, as with her performances. All my sympathies go out to Elisabeth’s family and friends. She will be sadly missed by them and her many fans, and will definitely be remembered with great, great fondness. Goodbye Elisabeth Sladen, you will never be forgotten. The BBC's obituary for Elisabeth.